We are S Wellens & Sons Funeral Directors and since 1870 we have been organising beautiful and personal funerals for the communities surrounding Middleton. Throughout the years we have gained valuable experience in all types of funeral services. Whether your preference is a traditional or religious ceremony, or something completely unique and different, we will cater to all your needs. In April 2018, we conducted a burial at sea for one of the families who entrusted us to make their loved one’s funeral service special. We will tailor every last detail of the day, from helping you to select your favourite flowers, to ensuring the wellbeing of you and your family, whilst treating you with uncompromising compassion every step of the way. Our first funeral home was on Back High Street. We then moved to 54 Long Street, before settling at 121 Long Street in 1920. The funeral home was built, designed and opened in 1920 by Billy Wellens, who was also the Mayor of Middleton and grandson of our founder Abraham Wellens. 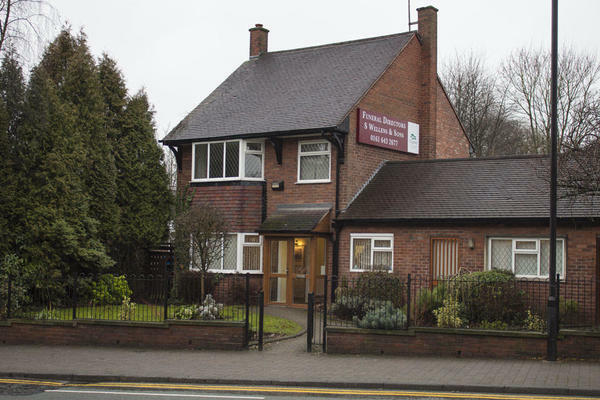 Since then, the business has grown and we have opened other funeral homes in Blackley, New Moston and Chadderton. You can count on us to be there for you. Someone will always be there to answer your call, no matter what time of day or night, so please phone us, as soon as you need us. Call us today on 0161 643 2677 to talk through your personal requirements. We have a large car park you can use free of charge. You can find us on Long Street, close to the junction for Mellalieu Street. Our staff are available 24 hours a day on 0161 643 2677 if you require our services outside of these hours.